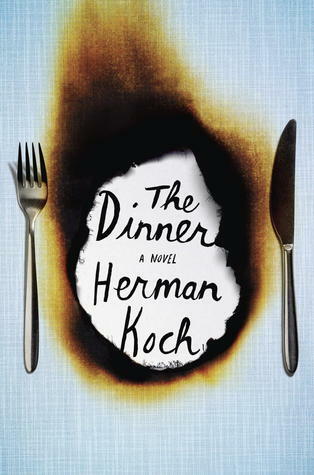 The Dinner is a book that I have seen on many lists and read good things about, so when I saw it at the library book sale for $1 I grabbed it. This book has been compared to Gone Girl, as have many others, however that does this book a disservice. It is so much better than Gone Girl as a psychological story. The action mainly centers around two couples having dinner in a restaurant but it is supplemented by flash backs to give background and insight into the ongoing scenes. This is a fantastic example of an unreliable narrator in the form of Paul, but the other characters are fascinating as well. As the story unfolds it is like watching a horrific accident in front of you, in slow motion, so you don’t miss anything. There are pieces where you need to just suspend your disbelief and move along with the story. I don’t really want to give spoilers but let’s just say no one is as they seem when you initially meet them. The story pokes fun at the pretentiousness of the wealty and powerful, explores the depths of mother love, and exposes the bonds of famly and all that it means. This was a great read that I would highly recommend to psychological thriller fans. Fables, Vol. 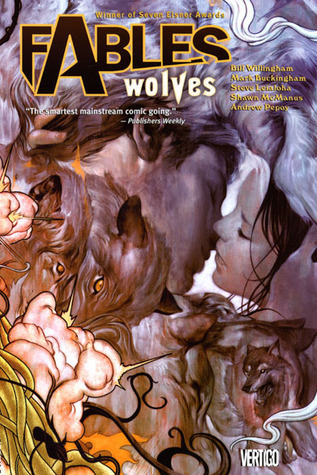 8 Wolves was a great outing in this series that I have been reading off and on for the past month. I loved the emphasis on Mowgli and Bigby. I am impressed with Prince Charming as the Mayor, even though he is portrayed as a cad, he seems to have accomplished much more as mayor than King Cole and Snow did. I will continue reading this series and I am really curious to see the fall out from Bigby’s mission back to the homeland.